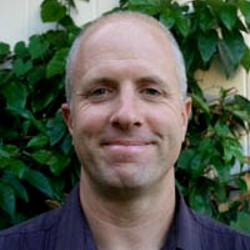 Andrew Greene teaches environmental science and geology at Hawaii Pacific University. His research focuses on volcanology and geochemistry of active and extinct volcanoes from hotspots, flood basalt provinces, and volcanic island arcs. Dr. Greene’s other academic interests include environmental and societal impacts of natural disasters, the decline of Earth’s resources, Earth’s history and the evolution of life, and the causes of mass extinctions. Dr. Greene samples and studies active volcanism on Kīlauea Volcano in Hawaii and participates in ocean drilling expeditions to study large submarine eruptions. A significant part of Dr. Greene’s research has involved remote field work in Alaska, Yukon and British Columbia. Science education is a primary interest of Dr. Greene. He has published several teaching lab modules for undergraduate and graduate students, and is currently working on two new modules on natural hazards in Hawaii and the growth and evolution of the Hawaiian Ridge.